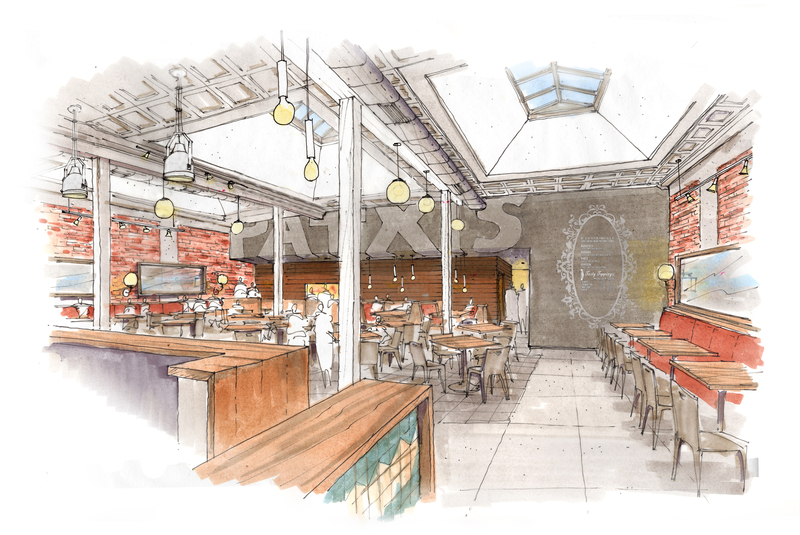 Description: An interior remodel to convert an existing retail commercial space into a new location for Patxi’s Pizza. All existing interior walls and store front glass were removed to provide the blank canvas for the new restaurant. The restaurant design incorporates the existing feel of the space but inserts a new industrial style with reclaimed wood siding and raw steel details. New lighting, finishes and fixtures complete the transformation of this space into a warm and visually interesting location for this growing franchise. The large overhead doors allow the bar to open up to the arcade and take advantage of the Santa Barbara climate and provide an opportunity for outdoor dining and bar seating along State Street. The project required a large upgrade of the existing utilities to provide the power necessary for the new state of the art kitchen.